In our quest for binge-worthy shows, Mama and I recently got hooked on “The Marvelous Mrs. Maisel.” It’s an Amazon Prime Exclusive and it’s very funny — and very Jewish! So we loved it! Miriam “Midge” Maisel is a quirky, persistently cheerful, 1950s New York housewife, whose shmuck of a husband leaves her in a spectacularly cliche fashion. She has a glorious breakdown (or perhaps a breakthrough?) and reinvents herself into a sharp-witted, stand-up comedian. We loved the costumes, the sets, the dialogue, the acting, the Hebrew, the plot twists, all of it. It’s another hit from Gilmore Girls Creator Amy Sherman-Palladino! Now, when do we get Season 2, please? 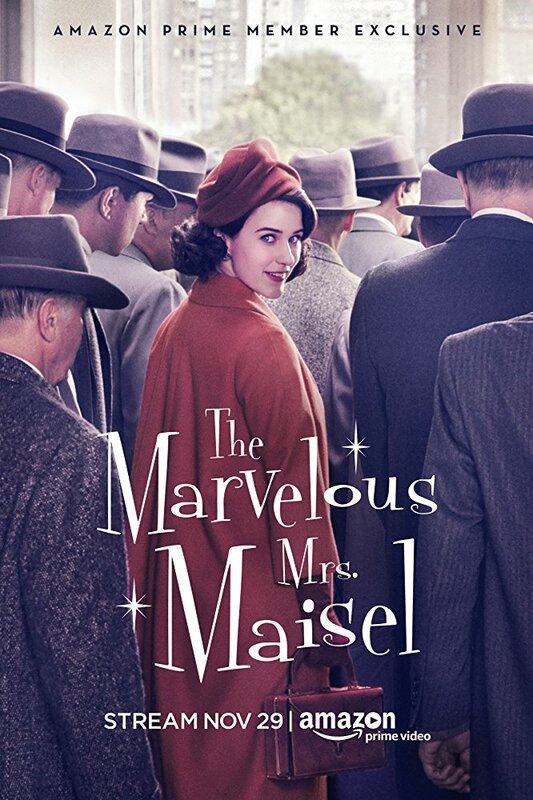 Today’s #OneGoodThing was watching “The Marvelous Mrs. Maisel” with Mama. Day 337 of 365. And Day 703 in a row! Thanks for the glowing review! I’ve been excited to watch it since seeing the previews a while back.